ancient way to reconnect people to each other and to the natural world. $4 per student, min 100 students. Ilan Abrahams, a ‘sense of place’ performer, brings a unique blend of ‘eco-rap’ tunes, stories, and activities as he takes you on a journey to a place you can call home. Along the path we meet and interact with the skateboarder, the farmer, and the park ranger. They engage the children in suprising and joyous ways with local environmental topics. The children are inspired with possibilities for an exciting sustainable life in their school and suburb. Mt. Baw Baw completed by Ilan and three other artists. 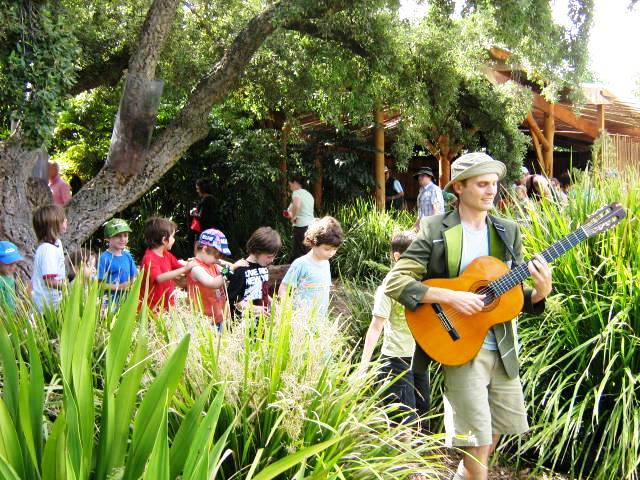 30min-1hr outdoor creative activity workshop is an optional addition.